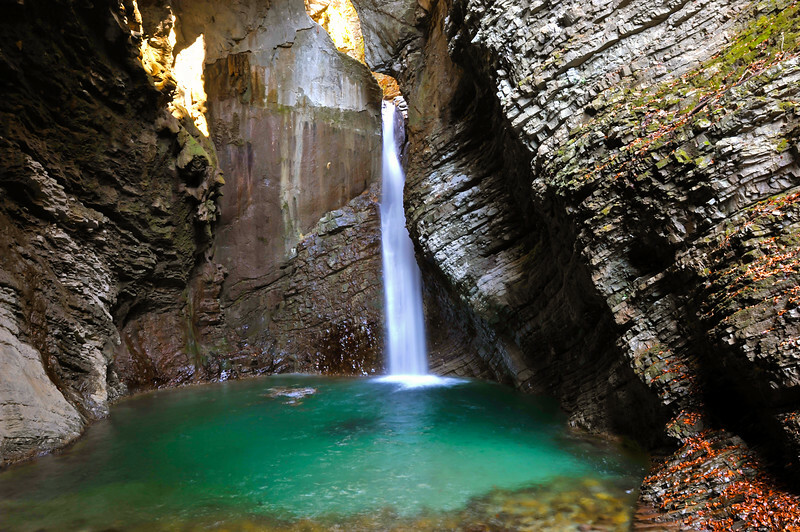 Why visit the Kozjak Falls? 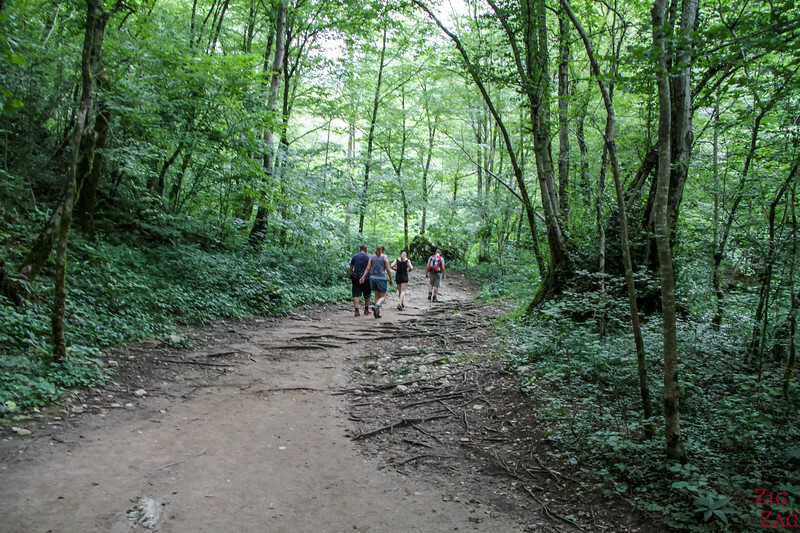 You can see my own pictures at the end of the article, after the photos of the walk. Sadly I was not in a good condition to take nice pictures, but it was still very pretty. 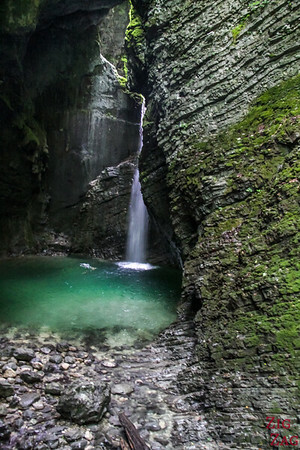 The Kozjak waterfall is located near the Town Kobarid, at the South edge of the Triglav National Park. 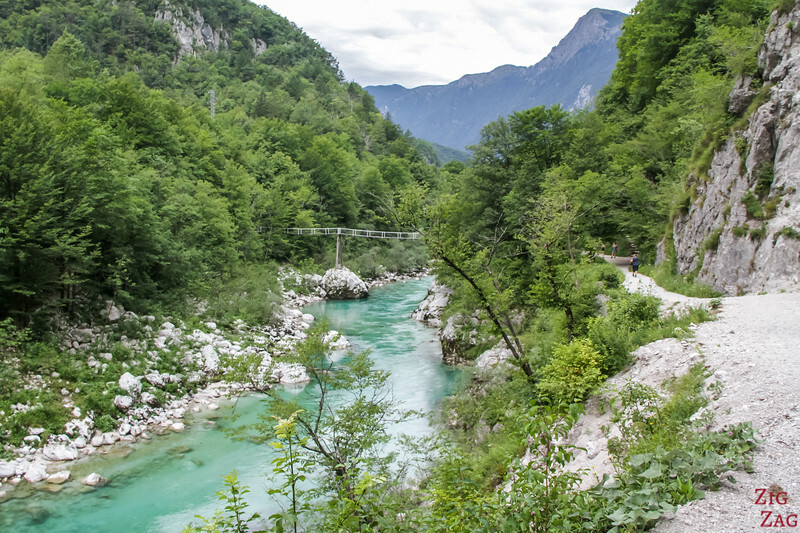 It is a bit more to the East than the Virje or Boka Waterfalls. 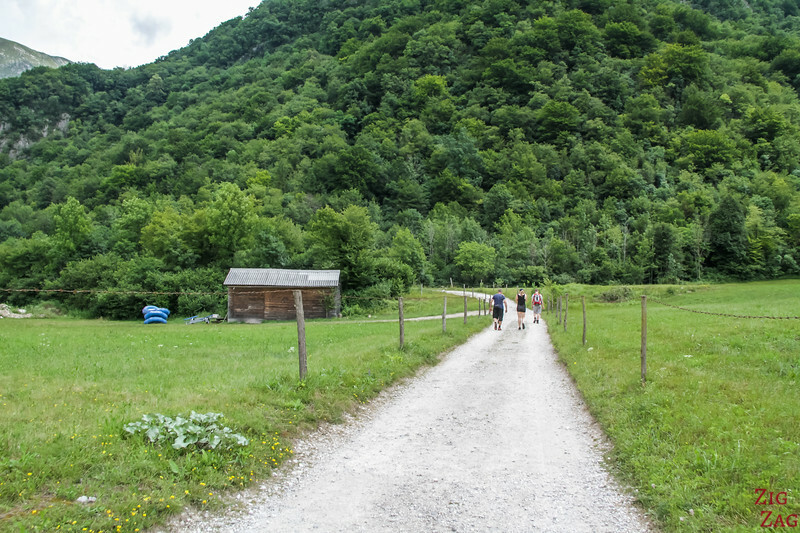 Quickly after that you reach the parking for the beginning of the hike. 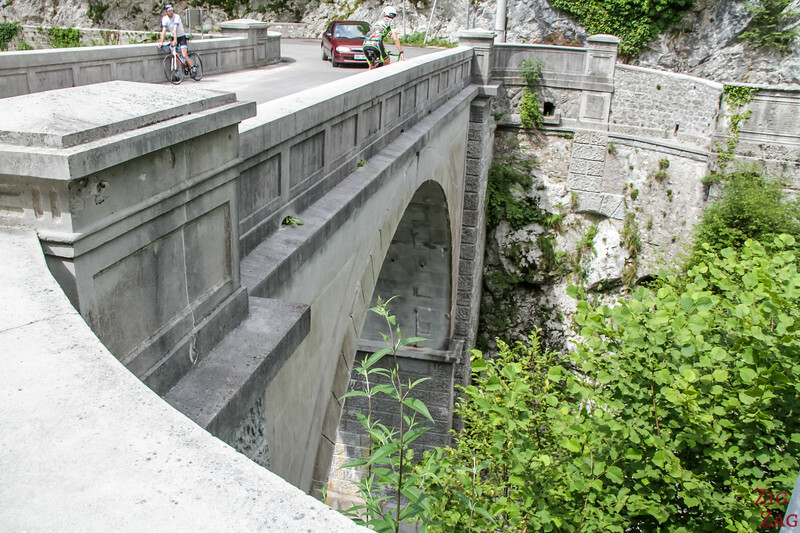 It is on the Kobarid - Dreznica Road. Don't forget to pay and get a ticket to display! On this map you can just walk from P* to 7 and 6 and back. 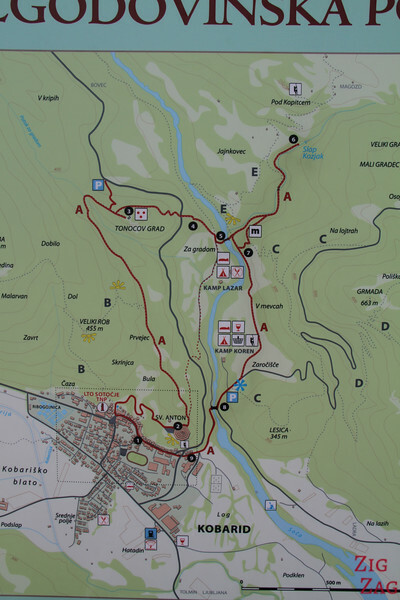 This is the shortest walk to and from Slap Kozjak. 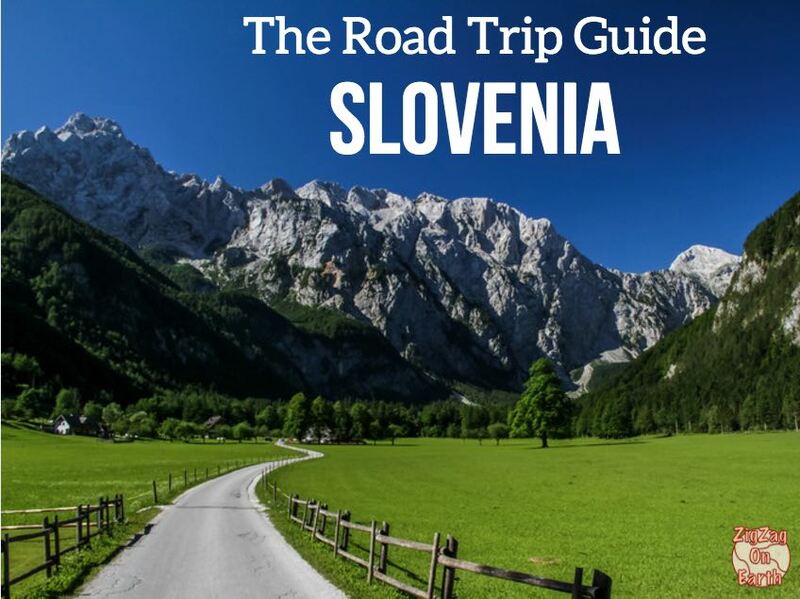 Slap Kozjak, along with many other beautiful places, is included in my eBook: The Road Trip Guide-Slovenia. 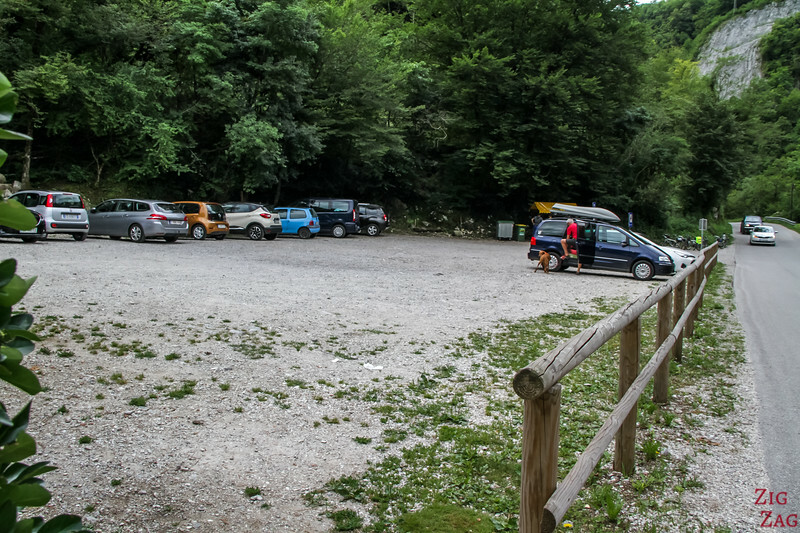 From the parking the first part of the Slap Kozjak is quite open and easy. The track is in good condition but you should still wear good shoes because it can be slippery. There is one big slope to get close to the river. Don't forget that on the return walk you will have to climb it. But it is not too strenuous. 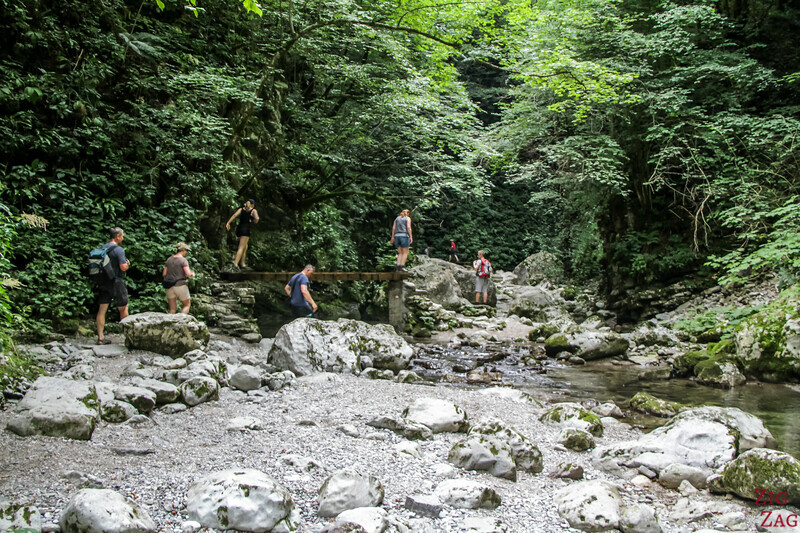 One of the best part is to walk along River Soca. It is clear why it is called the Emerald River. 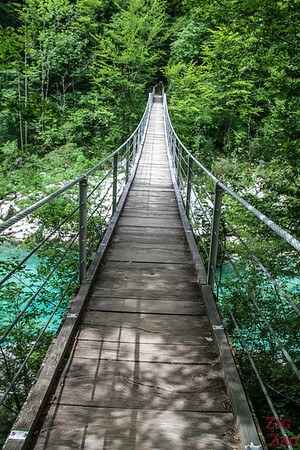 If you want great views, you can walk on the suspended bridge. But don't cross it! 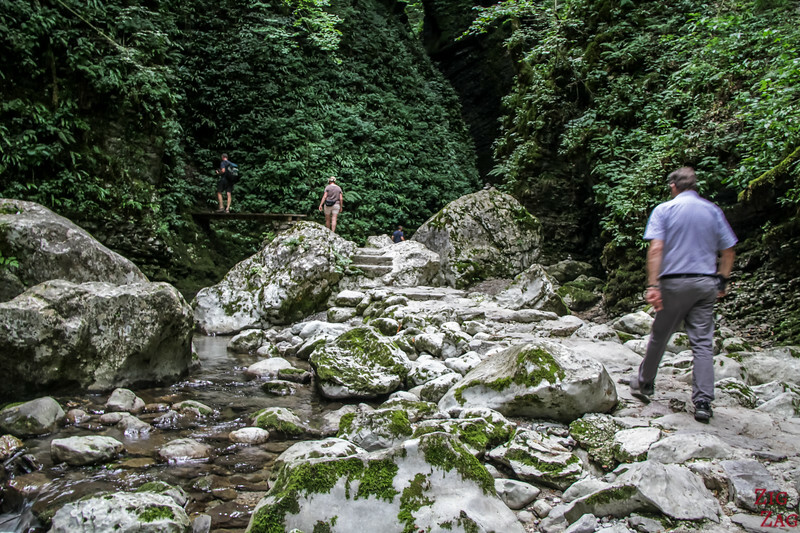 The path to the waterfall remains on the same side of the river. 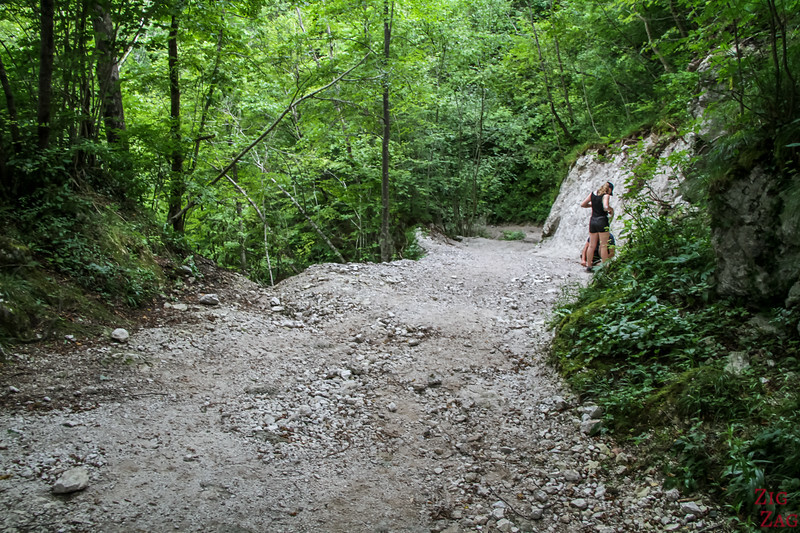 The second part of the Kozjak walk is really enchanting. 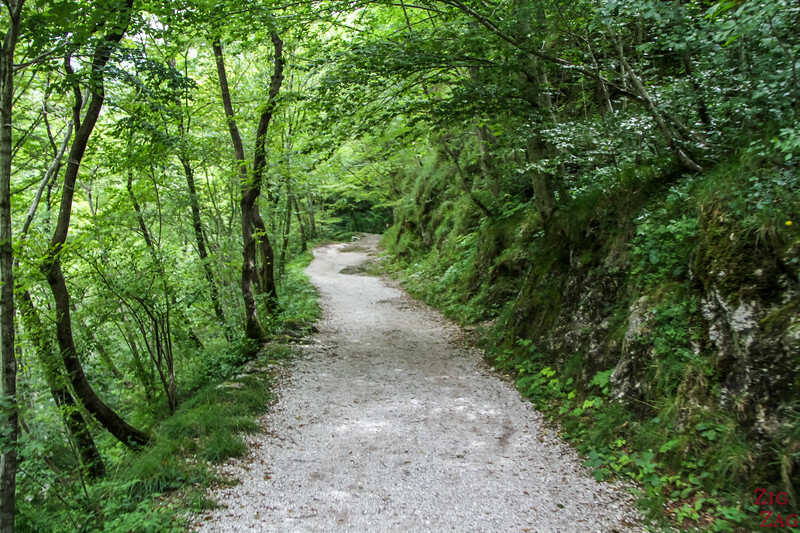 The whole path is cover with dense vegetation. The trees are blocking part of the sun (and part of the water when it is raining yeah!). On the way you can sport a mini-waterfall. This is Mali Kozjak which is 8 m high. It is just under an old wooden bridge. 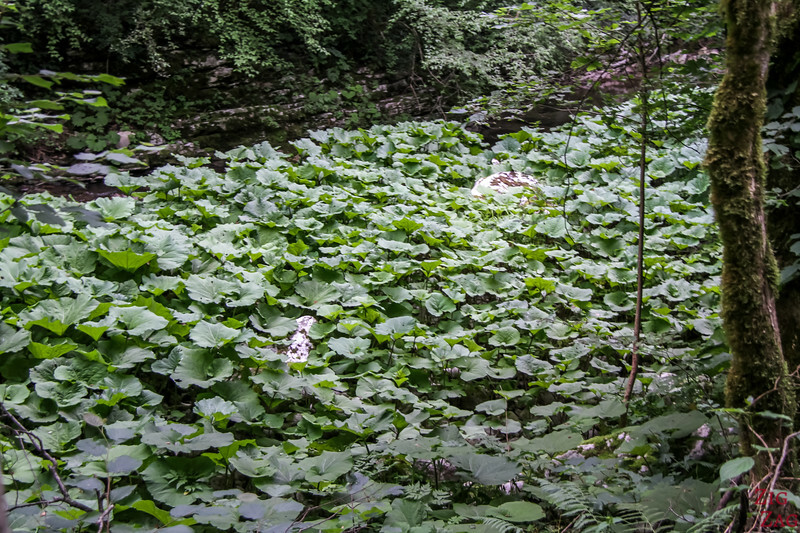 What surprised me the most during the walk, were the large patches of vegetation in the middle of the river, to the point where you could not see the water anymore. 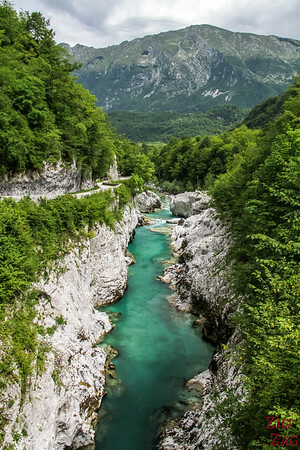 Slovenia is so green! 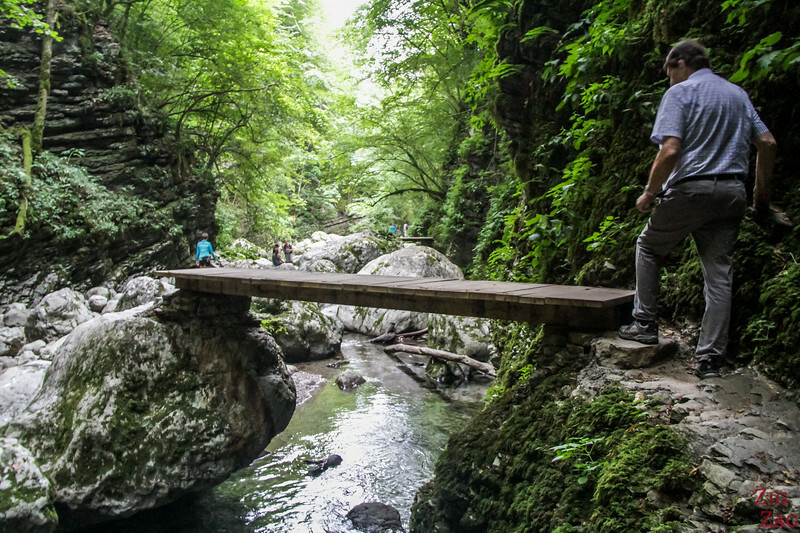 Towards the end, the area narrows and you have to cross water several times. 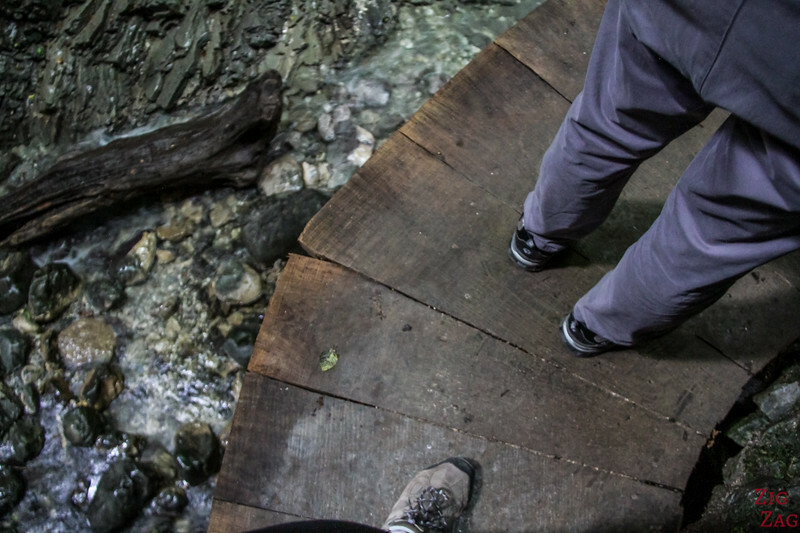 They have set up steps and wooden bridges to help you keep your feet dry. This is really well done. As you can see below there is a narrow path to reach the inside of the cave. If you don't mind the freezing water, you can walk inside through the stream. 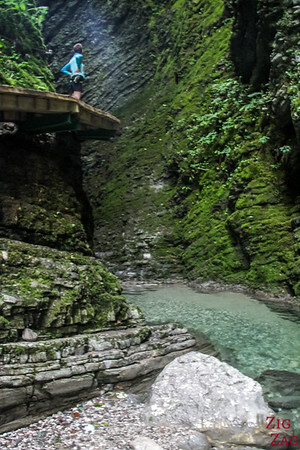 However, for the others, a small platform has been set up higher to allow you to stay dry and discover the waterfall. Not many people can stand on it at the same time so be patient! 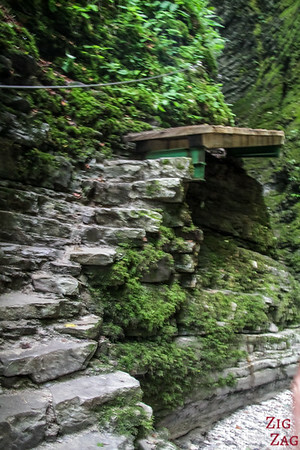 And once on the platform, you can walk inside the Karst cave to discover the famous waterfall. I am sorry I did not feel very comfortable on the platform so I did not take the time to capture better pictures. If you can, try visiting early to be able to move on the platform and take better pictures. 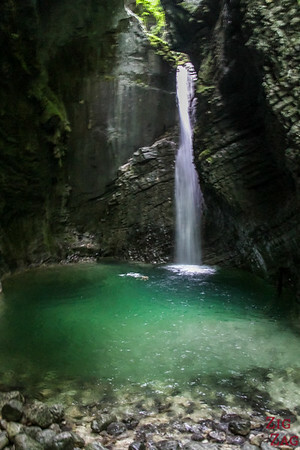 The waterfall is 16m tall (49ft) and as you can se it flows straight into an emerald-color pool. 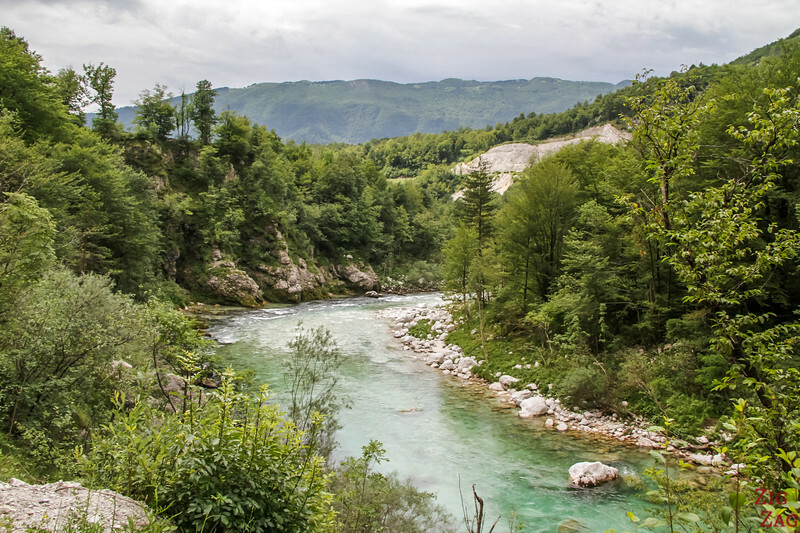 It is created by the Kozjak stream, a tributary to the Soca River. 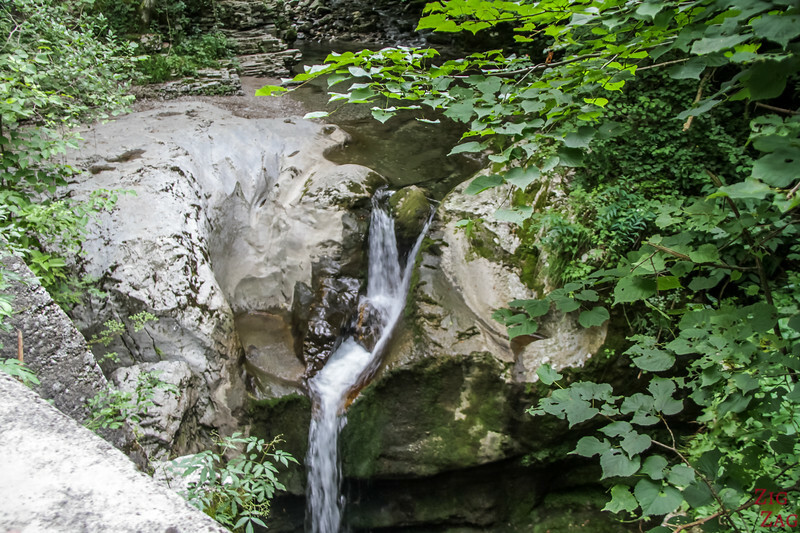 The stream comes from high in the mountain and actually flows through 6 waterfalls but the others are not easily accessible. As you can see it is not wide or high or roaring, but the hidden setting makes is very unique. It is indeed hiding in a chamber with steep dark rock in a straight white drop, so get really great contrast. Love waterfalls? 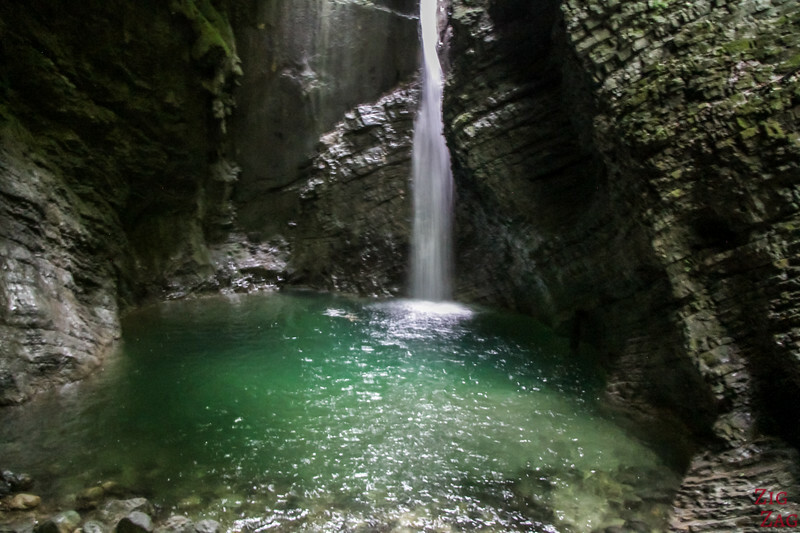 Check out my selection of the best waterfalls in Slovenia.